Published By Jarod Bona, Esq. Does a Refusal to Deal With a Competitor Create Antitrust Liability? Yes, in certain narrow circumstances, refusing to do business with a competitor violates Section 2 of the Sherman Act, which regulates monopolies, attempts at monopoly, and exclusionary conduct. This probably seems odd—don’t businesses have the freedom to decide whether to do business with someone, especially when that person competes with them? When you walk into a store and see a sign that says, “We have the right to refuse service to anyone,” should you call your friendly antitrust lawyer? The general rule is, in fact, that antitrust law does NOT prohibit a business from refusing to deal with its competitor. But the refusal-to-deal doctrine is real and can create antitrust liability. So when do you have to do business with your competitor? First, if you don’t have monopoly power, you really don’t have to worry. Like other claims under Section 2 of the Sherman Act, monopoly power is a must. That doesn’t mean if you aren’t huge, you are in the clear. Courts and antitrust agencies will sometimes define markets narrowly such that even a small- or medium-size company with a niche product or service has monopoly power. As a general matter, if you think you might have monopoly power in any market and haven’t spoken with an antitrust lawyer, you should contact one now. Monopoly power or anything close to it can create additional landmines, particularly when it comes to how you price and structure your products and services. Loyalty discounts, bundling, exclusive dealing, and tying, for example, may create big problems for you. In Europe and much of the rest of the world, monopoly power is called dominance. If you are dominant and under the jurisdiction of the European Union, your risks are even greater than in the United States, as the likelihood of violating the antitrust laws in those circumstances are relatively high. Bona Law has an attorney with substantial European Union Competition experience, so call us if you have any questions. Second—assuming you have monopoly power in a market—the scenarios where you have to do business with a competitor are fairly limited. But to understand them, we need to delve into the cases a little bit. As I mentioned above, the general rule is that you really can refuse to deal with competitors: go ahead and put up that sign on your building that you have a right to refuse business, so your competitors can see it when they drive by. But make sure to include an asterisk that explains what I am about to tell you. Let’s start our travels in the early 1900’s on a railroad bridge over the Mississippi River in St. Louis, Missouri. In United States v. Terminal Railroad Association of St. Louis, the Supreme Court addressed an antitrust claim arising out of the Terminal Railroad Association’s refusal to allow other companies to gain access to necessary railroad facilities for passing into and through the St. Louis hub. The Association was not just a terminal company, but was vertically integrated, which in this case means that it also had a business that competed with the carriers that had to use its terminals in St. Louis. Let’s skip ahead to 1985—two years before the Minnesota Twins won their first World Series—to the ski slopes of Aspen. I’ve already written about ski-equipment companies and antitrust, so now let’s talk about a couple of dueling Aspen Ski resorts. 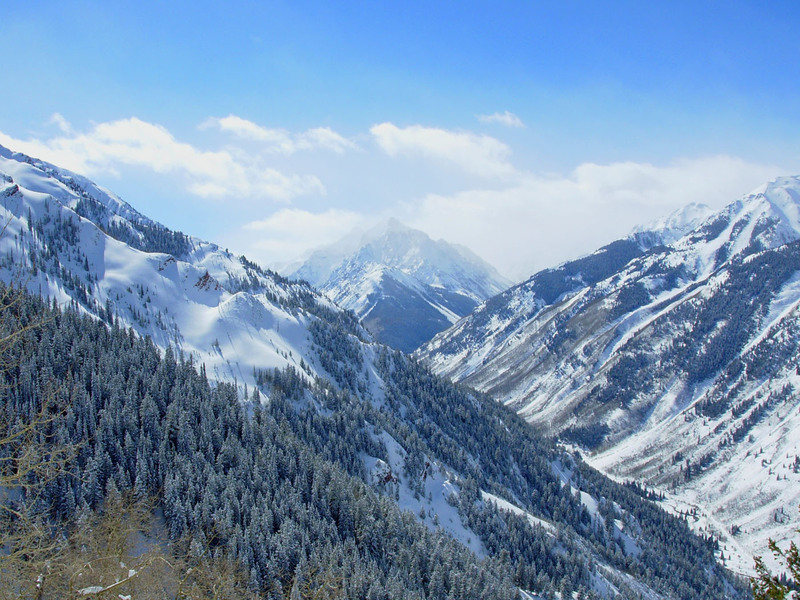 The Supreme Court case is called Aspen Skiing Company v. Aspen Highlands Skiing Corporation. It is known as the “essential facilities” case, even though it did not decide the case on the essential-facilities doctrine, which the Supreme Court has never adopted. There were two major ski resorts in Aspen at the time—one facility owned by the plaintiff, Highlands, and the other three owned by Ski Co., the defendant. The ski resort companies joined together to offer skiers the convenience and flexibility of an interchangeable ticket that allowed them to ski on any of the mountains. That worked great until it didn’t. The companies soon started fighting over how to calculate the revenues and Ski Co., which owned most of the ski facilities, shut out Highlands, offered its own ski ticket, and tried to convince the world that the Highlands resort wasn’t there. But that wasn’t the antitrust problem. The issue was that Highlands tried to effectively recreate the interchangeable ticket by itself; it was the only way to convince vacationers to ski on its single mountain instead of its competitor’s multiple facilities. Apparently skiers like variety and get sick of skiing on the same ski area over and over. Highlands tried to buy ski tickets from Ski Co. (at full price) to sell to its customers as part of a package that allowed skiers to ski anywhere in Aspen, just like before. But when Highland’s representatives showed up at the Ski Co. ticket booth, it was slammed shut (metaphorically). Ski Co. wouldn’t do business with them. So Highland found an antitrust lawyer and sued them. And won. This decision created great excitement in the antitrust world and led attorneys and academics to conjure up all kinds of challenges based upon a refusal-to-deal or an essential-facilities theory (even though the Supreme Court didn’t accept the essential-facilities theory of the circuit court below). Some of that excitement ended with the Supreme Court’s 2004 case of Verizon Communications, Inc. v. Law Offices of Curtis V. Trinko, LLP. This was another riveting legal decision involving the Telecommunications Act of 1986. I won’t bore you with the details, but the Court made it clear that it wasn’t going to extend its ruling in Aspen Skiing. Instead, it reaffirmed the general rule that businesses can refuse to deal with their competitors. Courts shouldn’t become central planners (the Court’s words), acting like a parent telling two siblings to play nicely together (my words). But the Court didn’t overturn Aspen Skiing. It just left it where it was—on the outer boundaries of Section 2, Sherman Act claims. The Court then distinguished the present case from Aspen Skiing in two ways: (1) the issue there related to the fact that the defendant “ceased” its participation in a cooperative venture; and (2) the defendant in Aspen Skiing terminated what was a presumably profitable course of dealing, which suggested a willingness to forsake short-term profits for an anticompetitive end. And that, ladies and gentleman, is where we are now. If you are a monopolist and want to refuse to deal with your competitors, go right ahead, (*) unless you have already been doing business with them and by stopping you are giving up short-term profits for the long-term end of knocking them out of the market. This issue of giving up short-term profits is an interesting one in the academic and economic literature where terms like “no economic sense” and “profit sacrifice” are thrown around. But I won’t go into that here. If you are interested in more detail on the refusal-to-deal doctrine and its economics,I co-authored a chapter on Refusals to Deal with H.E. (Ted) Frech III, a Professor of Economics at the University of California, Santa Barbara, in the American Bar Association book, Antitrust Law and Economics of Product Distribution (2d ed.). You can purchase this book here. Get the latest antitrust news and insights delivered to your inbox. Curious If You Have a Case or Looking to Learn More? Copyright © 2016 – 2019, Jarod Bona, Esq.